This is a book about an absent person, who is held in prison; who has won a Nobel Peace prize and is not allowed to collect it: Liu Xiaobo. His old friend Bei Ling writes about him. He draws a many-facetted picture – only a knowledgeable friend can do that. This book is concerned with manifestos, petitions, political actions, but also with self-doubt and guilt, stubbornness and ambition. The author Bei Ling, who was imprisoned himself before, sees his duty in painting a complicated picture of this civil rights activist, with many different shades and colors. Bei Ling knows that he can see Liu Xiaobo only from one side, he can only portray him in profile, not from the front. But even if it is only part of a bigger picture, this part shows us a whole cosmos of courage and repression, of labor camps and life outside watched by security agents, like the life that the wife of this civil rights activist is forced to lead. This book offers a lot of information, but it doesn’t explain everything, because it wants you to keep asking questions. This is why I think everyone should read it. One question that always comes up is ‘why’. Why does Liu Xiaobo keep on doing this, organizing petitions and manifestos? Why do they think he is so dangerous? So there are actually several questions. The answer to the second question has to do with the Independent Chinese PEN. But why? Why do they keep on suppressing any kind of publication outside of academic and government bodies? Why was Bei Ling’s crime of printing a literary magazine in Beijing so serious, a magazine which had already been forbidden in China, which he had been publishing in Taiwan, but which was after all just a place for poetry and prose by ‘underground’ writers like Liao Yiwu and translations of essays by Susan Sontag and modernist poetry by Vaclav Havel, for example? It’s absurd and paranoid, when you look at it in the context of economic, and, to some extent, social development, connected with and open to the world, to a very large extent, as it seems. This is what Elfriede Jelinek remarked, too. How can this go on, she asked? We didn’t discuss much of that angle. An interesting point that did come up was Liu Xiaobo as president of the Independent Chinese PEN. He became much more moderate than before, said Bei Ling, because he had to represent and protect many other writers in China. And because Liu Xiaobo took on a very consensual role, he was much more dangerous to the system. Zhang Zuhua, the other main author of Charter 08, was also detained in December 2008, but subsequently let go. He was detained again last week, but only very briefly. He has a different background. Charter 08 is available online in the original, in Perry Link’s English translation and in many other versions, which can be found via the Wikipedia entries for Charter 08, for example. Links to discussions of the content are also available there. Apart from Charter 08, Liu Xiaobo was convicted and sentenced because of a few articles, published in Chinese in Hongkong and other places. These articles should have been named in detail and discussed in the biography, but there was not enough time. There are a few other details that didn’t make it in this time, because Bei Ling wrote them after we translators had already finished with that chapter and had to go on with a new one. 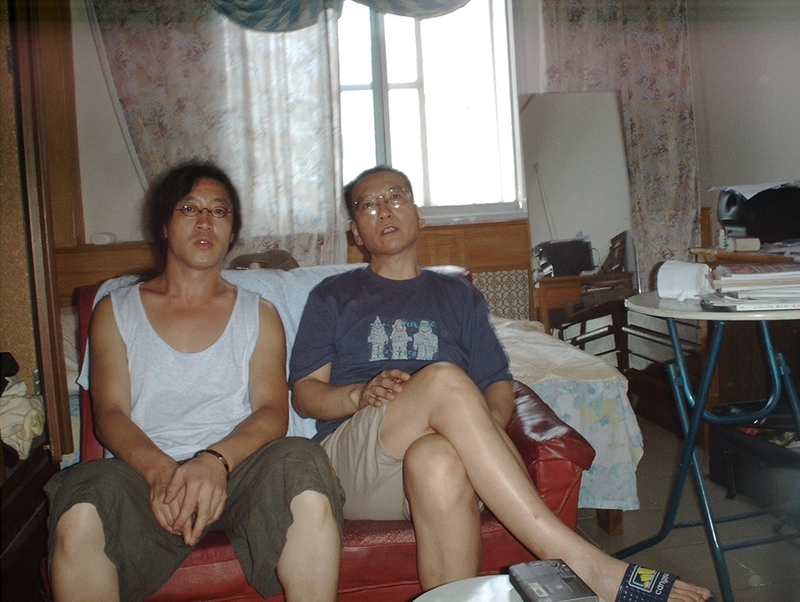 Bei Ling kept visiting Liu Xiaobo and Liu Xia each time he came back to China. From 1993 to 2000 he managed to bring them money from various Chinese organizations abroad, at least once a year, although he was always followed by security agents. This is one of the details that didn’t make it into the first printing. Liu Xiaobo’s most recent book in China was printed in 2000. It was openly available in every book store; the first print run was 100.000 copies. He used a pseudonym, and most people only noticed the co-author: Wang Shuo, the most successful novelist of the 1990s. Bei Ling was the editor. He and Wang Shuo had all the necessary contacts. Both of them recount how the stunt was pulled off, how Wang Shuo and Liu Xiaobo worked together and how the book was successfully published. This is another very interesting part of the biography that is missing from the first print run. Liu Xiaobo is the main voice of the book. Wang Shuo only comments from the side. It’s a writer’s book about other writers, literary criticism at its finest. When the book came out, many people bought it because of the name Wang Shuo. It wasn’t a novel, and you could only really appreciate it if you knew many, many names in various Chinese literary circles. It was a very strange book and a big sensation, even if many would-be readers didn’t know what to do with it, and many also didn’t know that the other author apart from Wang Shuo was a notorious dissident fresh out of labor camp. Wang Shuo gave all the money from the book to Liu Xiaobo, via Bei Ling, who had to open a secret account and tell Liu Xiaobo later, when it was safer and when Liu would not protest any more. One other interesting missing link in the first print run of the biography is an elaboration of the scene in prison when Liu Xiaobo swallows a whole egg, without being able to peel it first, because the egg belonged to a privileged prisoner. This privileged prisoner, who got an egg every day while the others never saw one for years, was actually also a dissident. In the book, Liu Xiaobo later tells the story, stuttering like he often did, or does, according to friends. Should you hear or see that in translation too? Chi-chinese li-literature … What do you think? I wanted to keep it every time. They did let him stutter in German in the telephone call from New York to Taipei in March 1989. 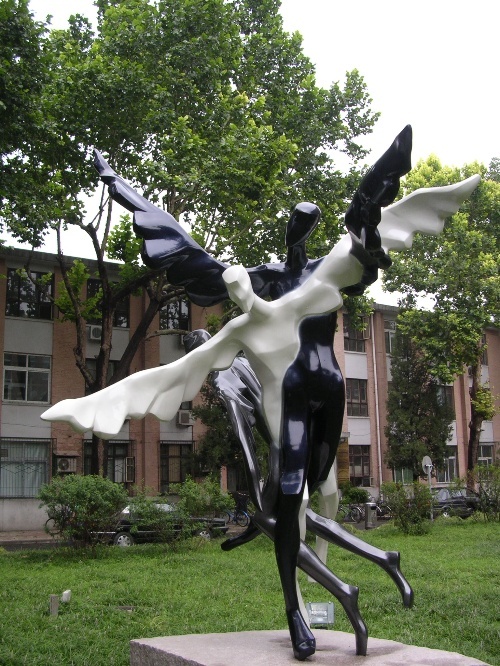 Liu Xiaobo, Jiang He and Bei Ling called Chen Yingzhen from his old apartment, it was his old girlfriend who let them stay there. Chen had been imprisoned for promoting Marx’s The Capital. This is a great scene. These few weeks in New York, before Liu returned to China and took part in the protests, are a very fascinating section of the book. It was the beginning, Bei Ling started writing from there. Die Frage nach den Rechten für die Übersetzung und den Abdruck ist berechtigt- Jonny Erling sollte so bald wie möglich Liu Xiaobos Frau Liu Xia kontaktieren. Liu Xia ist allerdings ebenso wie Liu Xiaobo selbst im Moment unerreichbar. Dies ist ein Buch über einen Abwesenden, einen im Gefängnis Festgehaltenen, über einen Nobelpreisträger, der seinen Preis nicht entgegennehmen darf: Liu Xiaobo. Sein alter Freund Bei Ling schreibt über ihn. Er zeichnet ein Bild mit vielen Facetten, wie es nur ein Freund kann. Es geht in diesem Buch um Manifeste, Unterschriftenaktionen, politische Handlungen, aber auch um Selbstzweifel und Schuldgefühle, Sturheit und Ehrgeiz. 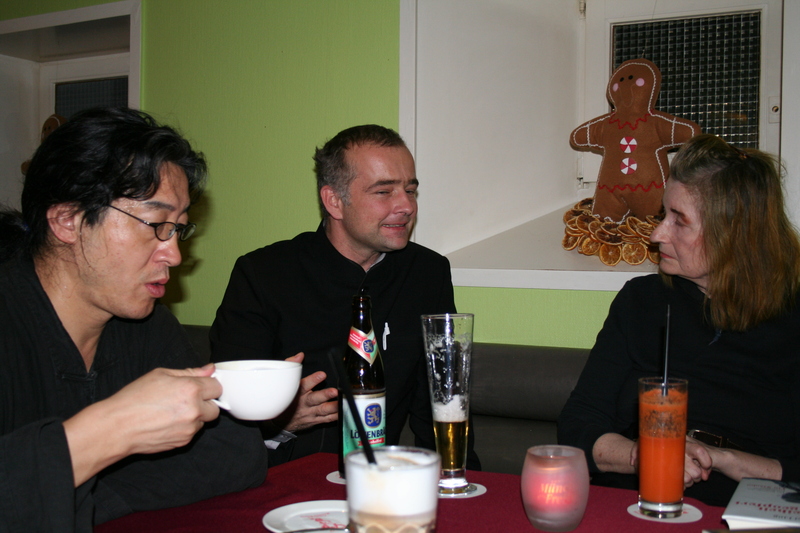 Der Autor, der einst selbst inhaftiert war, sieht es als seine Pflicht an, ein differenziertes Bild des Bürgerrechtlers Liu Xiaobo zu malen, mit allen Zwischentönen. Bei Ling ist bewußt, daß es nur ein Bild von einer Seite her sein kann, sozusagen im Halbprofil, aber schon dieser Ausschnitt eines Lebens enthüllt einen ganzen Kosmos aus Mut und Repression, es erzählt vom Arbeitslager und dem Leben unter Polizeiaufsicht, wie es die Frau des Bürgerrechtlers führen muß. Gerade weil dieses Buch viel erklärt, aber auch immer wieder zu Fragen anregt, ist es Pflichtlektüre.